You would be able to appreciate this post better if you have read the previous post on this topic: Emerging power of incremental action in a networked world. Student: As I look at the telecom sector in India today, call rates are going down cheaper and cheaper and eventually one day, it will hit the bottom where it would cost nothing. When that happens, how will value exchange work, when we approach this issue from the perspective of incremental action? Farmer: Value will then be absorbed in completely different direction. In the meanwhile, the entire ecosystem would also evolve and the next value proposition will be created. Once that commodity for which you paid high price becomes zero, the target of change is no longer limited to that commodity. You move on to the next thing. For instance, until Google made memory free, with unlimited space for storing mails, memory was the thing around which all emails seem to revolve. The moment this plug was pulled out, now we are not talking about memory anymore. It has shifted the frontier to completely different direction. Incremental change has many advantages. One of the advantage being, your ecosystem continues to keep evolving so that when time comes, you have a good vantage point to see what is the next offering I can give. You can easily see where this is going? What is the next thing I can pull out from the hat? That becomes the next value proposition. Student: When Google pulled out email with unlimited space, there must have been small , incremental changes that were happening in that ecosystem. Google was probably smart enough to pull out the rabbit from its hat. So in a way, it brought a disruptive change when there were incremental changes happening around. Isn't it so? Farmer: Understand the way they were doing this very carefully. This wasn't a big revolutionary kind of change. Among the five things they had introduced, the one thing that caught everybody's attention was this. It then became the new horse for everyone to ride on. You don't even need to make it a big thing. Unlimited space becomes one among other offerings. But now you suddenly see the whole market moving towards this. If you are continuously glued to where you are market is going, you can be in touch with them continuously so that value continues to get exchanged continuously. I assure you that even when the folks at Google made those changes, they weren't sure what would happen. Nobody knew. They reached a certain stage where they realized that now they can give it for free. So they offered that. And then, they added search engine to it. When they added it together, the third thing came out. It is all hyper-linked. You cannot even notice whether if these two links led to the third thing. Essentially they created frontiers. This is one area where things could go. This is just now. Three days later, this frontier might have suddenly shifted to completely new dimension. And that becomes the new frontier. Remember, they are continuously monitoring. From your career perspective, if you are not interested in all of this, it becomes a nightmare. Then it becomes difficult for you to be in touch everyday. If you love it, you would want more and more of this. 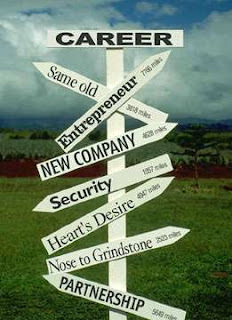 Career design need not be monolithic. You don’t need to have all your money from one source. There are many many aspects of you. You can monetize by creating value out of many parts of you. If you can draw small streams of income from many sources, it makes life very comfortable. It ensures that you never have to be miserable. Any time you don’t like a source, you cut it off and not die. Any time you want to multiply one source, you can drop some other source and do more of that. Look at the portfolio of offerings that you have as a person. Then you are not stuck with the idea that I have this monolithic one job that I have to get. More important is to find areas wherever I can create value. What are the areas where somebody would find something valuable that I can offer? And begin to see where all you can start moving in those areas. Even if you start making lists of that, start getting into circles where such areas are interesting. You will begin to see that there are ways to monetize. Even if each area is small amounts of money, it begins to reap huge amount of money, enough for you to take care, and you are doing everything that you like. Which means that at some point of time, at least in my life I have found, many times two of these sources get together and give me a third source which is completely unexpected. Student: While I agree that changes take place in small fractions, doesn’t it depend on the frame of reference we are talking about. For instance, when you are working on few technologies in a R&D lab, I am sure, for the rest of the world those technologies do not exist. It may be an incremental change for the company. But for the rest of the world, isn't it a form of disruptive technology? How does one deal with that? Farmer: You are right. There will be disruptive change. The idea that things will start converging on to each other will lead to even more disruptive changes. Because you never really know what will happen when you put this and this together. You can estimate only this much. The major impact of that would be understood only two months after that. My point is, being glued in, is your best bet. Because you are always connected to the environment. FedEx actually created the fax machine. It funded the fax machine. Before fax machine was there, documents had to be physically delivered. There was no other way. 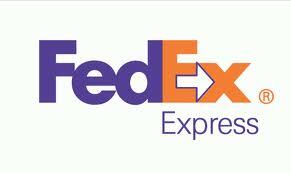 Fred Smith, the founder of FedEx said , “What will be the next thing that will happen?”. He saw something that looked like a fax machine. He said that this is the thing that will perhaps kill us. So what should we do? We should only start making this. It failed miserably. Look at the guy’s guts. He actually said we will start making this . It would require enormous amount of money and R&D to build it. He had these boxes kept all through his network. You could send the document there. You could fax them till the nearest location. And then it would be couriered to the designated location by FedEx. Service was great. Except that people didn’t understand why should FedEx own it. Why can’t they own it? So people bought the fax machine and the story ended. They had to write off huge amounts of money. When Fred Smith approached the board, the board director almost fell off the chair, hearing his audacious proposal. He was so good in business and world also changed in a way that enabled documents couriering remain a big business even though fax machine was invented. He was challenging what would happen next and he said "I am gonna take it on." So,the best bet is to stay close to the environment which you love. Student: When you talk about environment defined with a boundary, I am reminded of what I read about the Medici effect where different environments converge at a unique place. ,It makes me feel that there is no boundary at all. Farmer: I agree with you that there is no boundary. They are micro environments. There is no other way except to put the crux of this whole thing: You have to go back and do the right thing at the right time and stay close to your ecosystem. Make sure you keep moving. Make sure your past success doesn't hold you back from doing what has to be done next, even if it seems like you are going back. Student: At one point, I feel, we have go far wide as we can, and at the other end, it feels, we have to go deep to understand the ecosystem better. How do we make a balance out of it? Farmer: Because we are so much intellectual, we need to find an intellectual answer. How deep will you go into a person and how much will you go far away from the person. You don’t need to be told about that. You will know how deep you have to go. If you stay on the surface, you will never understand the intricacies of the ecosystem. You will continue to stay on the surface, it will make you feel like you’ve understood. But you don’t. To understand the mechanics, you will go deep into any ecosystem. Take the one you like. Doing stuff in it will enable you to see value taken and given. And then you will be available for many more things across that. In the old era, the rule was : Always go horizontal and deep. While getting into the next market, never go deep into the market. You go spread horizontally. Once you've captured the basic amount of market share in that market, you then go deep. Now, this has changed completely. You actually have to go deep to understand your customer better. Because that customer will enable you to understand many more customers! Howdy, a mate only just told myself about this website therefore I believed i would come and take a appear and also expose myself, Looks an incredible website having a a lot of extra users!